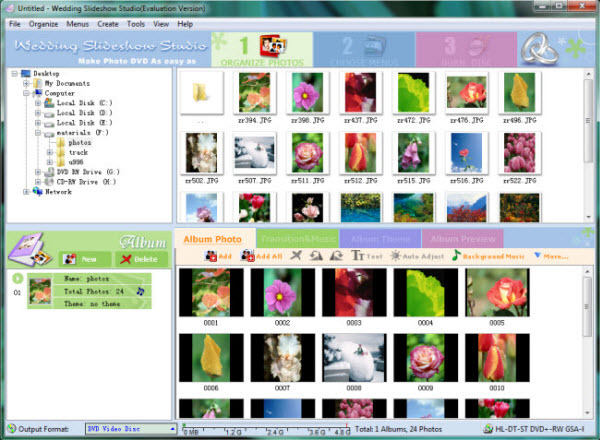 There are innumerable photos taken with your digital camera and copied to the hard drive. What are you going to do with all these precious pictures of wedding, parties, family gatherings, child births, class trips, vacations, Thanksgiving, Christmas and lots of other occasions? Wedding Slideshow Software can help you convert photos to .flv or .mp4 slideshow movie so that you can upload and publish it to MySpace. The steps are as easy as 1, 2, 3. After making all necessary settings above, choose "Create -> Create MySpace Uploadable Movie". You can also click the "Burn Disc" tab on the interface of Wedding Slideshow Studio and choose "MySpace Uploadable Movie" from the "Output Format" list. 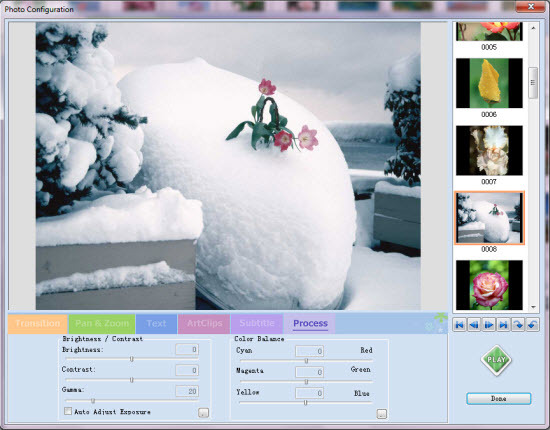 In the "Parameter Settings" panel, you can specify output directory, profile (mp4 or flv), and video/audio parameters such as video bitrate, size, codec, frame rate and audio codec, bitrate, sample rate, channel. Click the "Create Now!" button to starting creating photo slideshow movie for MySpace. After the whole conversion process, you can get the output .mp4 or .flv slideshow video file in the default output directory or the one you specified. Visit myspace.com and log in to your account. Then you can start uploading the video to MySpace and publish it.